Relive the origin of Master Chief when Halo: The Fall Of Reach drops early December! Relive the origin of the legendary Master Chief and the Spartan program in this animated adaptation of one of Halo’s most beloved stories. Kidnapped as children and conscripted into a brutal military training and augmentation program, the Spartans were designed to be the ultimate weapon against chaos and insurgency - but when a dangerous alien alliance known as the Covenant declares war on humanity, the Spartans might be our only hope. Halo: The Fall of Reach will be released first by Content Media on December 1st for all digital platforms and iTunes. 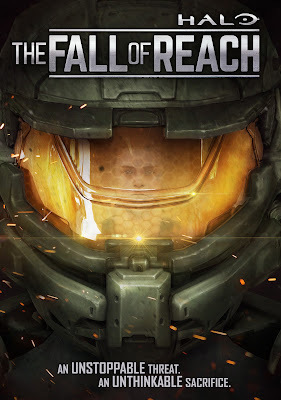 On December 7th, Halo: The Fall of Reach comes to DVD and Blu-ray in the UK. Pre-order your copy here now!